People say you shouldn't judge a book by it's cover, and while they maybe right I say why not? So I am going to do a experiment, each month I'll pick a book based solely on it's title and cover. I'll judge it then read it. The next month I'll have my review of it for you all. 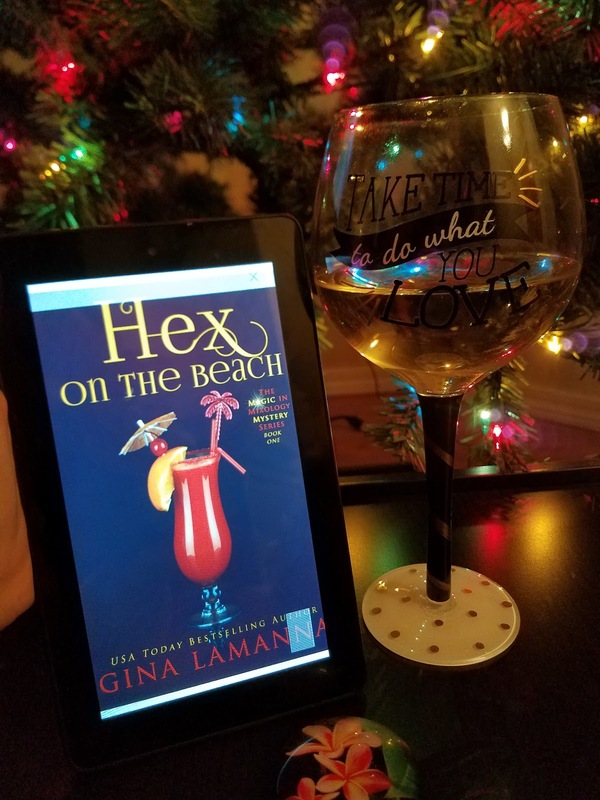 My impression is that Hex on the beach will be humorous, a little bit steamy, and of course accidental magic occurs. The title makes it sound like a fun read, while the picture of the drink makes me think there will be lots of alcohol involved. This is romantic fantasy of course (I'm guessing". Not too much thinking will be involved, too bad this isn't summer as I have a feeling this is a beach/poolside read. Hello! I think this idea of yours is amazing! Even if we don't like to admit we tend to judge a book by its cover all the time. If I saw that cover I wouldn't think of reading it to be honest but I can't wait to see what you thought of this book! Yea, It's not really a interesting cover, but being surrounded by snow you tend to wish for more of a non snowy escape.